The only credit union headquartered in Central Oregon. 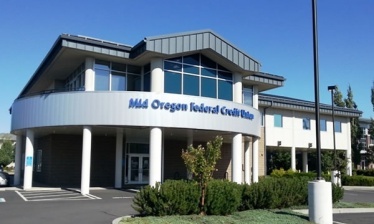 Mid Oregon Credit Union traces its roots back to 1957 as the first credit union established in Central Oregon by a group of teachers and school employees in Prineville. 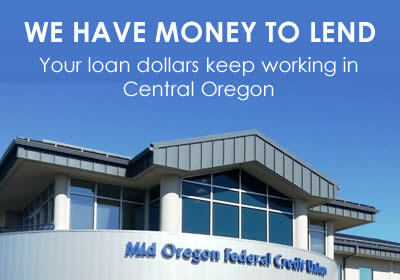 Today, Mid Oregon Credit Union is the only Credit Union headquartered and doing business solely in Central Oregon. Mid Oregon serves Deschutes, Jefferson, Crook, Wheeler, Lake and North Klamath Counties. 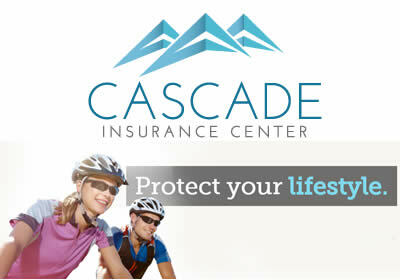 We have branch locations in Bend, Redmond, Prineville, Madras, La Pine and Sisters. The main difference between credit unions and banks is ownership. Banks are owned by shareholders. The shareholders elect a paid board of directors that works to maximize shareholder return. In contrast, a credit union is a not-for-profit financial cooperative owned by its members. A credit union’s board is made up of unpaid volunteers from the membership, elected by members. This cooperative system ensures lower loan rates and higher savings rates than typically available at banks, which must maximize profits delivered to shareholders. In contrast, any profits received by the credit union flow back to the membership in the form of lower loan rates, higher savings rates, and enhanced member services. Spouses of persons who died while within the field of membership of the credit union; employees of this credit union; persons retired as pensioners or annuitants from the above employment; members of their immediate families; and organizations of such persons.